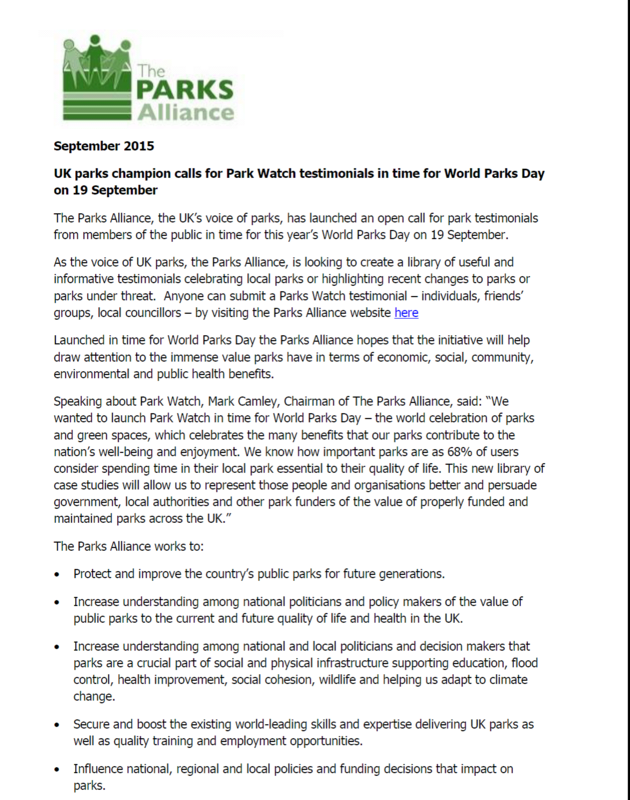 The Parks Alliance, the UK’s voice of parks, has launched an open call for park testimonials from members of the public in time for this year’s World Parks Day on 19 September. Launched in time for World Parks Day the Parks Alliance hopes that the initiative will help draw attention to the immense value parks have in terms of economic, social, community, environmental and public health benefits. Influence national, regional and local policies and funding decisions that impact on parks. World Parks Day is organized by World Urban Parks, the organization for open space and recreation.